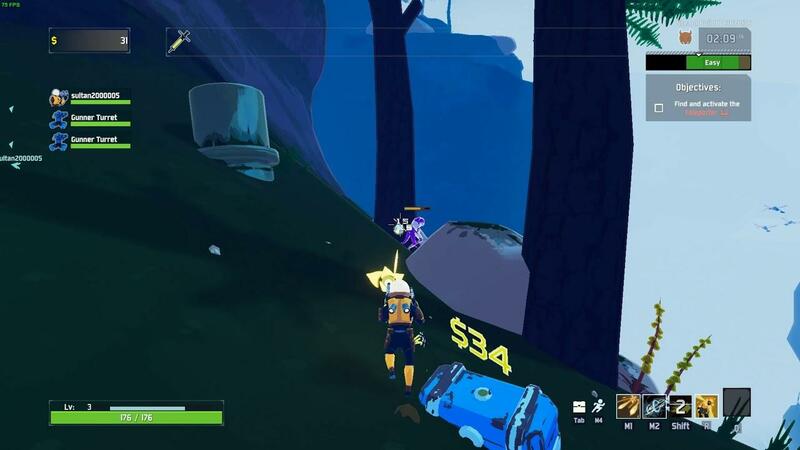 Risk of Rain 2 from Hopoo Games and Gearbox Publishing recently entered Early Access, it’s already become massively popular and thanks to Steam Play we’re not missing out. Here’s a look at just how well it runs on Ubuntu 18.10, click and play using Steam Play with Proton 4.2. In some of the more crazy action sequences, when tons of enemies are around it can become a little overwhelming. Do note: Performance is fantastic when not recording it. One of the main issues right now with the online play (it has single-player too), is the host of the game just quitting which abruptly forces all other players back to the main menu. Not great, so a host migration feature is going to be needed. Happened often when I was playing it, the host dies and they just quit. On top of that, the networking isn’t amazing as you’re reliant on the host having a good computer and internet so there’s been a few games that have had unplayable lag. If they want the game to continue being successful, that will need sorting. Honestly, I’m in shock at just how well it works for a game that’s only just become available. If we can get to a stage where 90% of game releases on Steam are either native ports or great in Steam Play, Linux gaming will have a bright future. It’s always a shame when we see games released just for Windows or Windows and Mac, become popular as they’re obviously interesting or fun to play and Linux gamers get left out in the cold. There’s many, often complicated reasons why Linux doesn’t see support (low market share, small development team with no extra time and so on) but thanks to Steam Play, that won’t happen so often any more. I’m not sure if it will be able to dethrone my current favourite Steam Play title Deep Rock Galactic, or the native Linux port of Rocket League but it might eventually. With thanks to reader archtoasty for my copy. @liamdawe You probably already did, even if it's not mentionned in this review, but have you been in touch with them about a futur Linux version? The original game is supported... Maybe? Mohandevir @liamdawe You probably already did, even if it's not mentionned in this review, but have you been in touch with them about a futur Linux version? The original game is supported... Maybe? Last I heard, it was basically a no as they have no Linux people on their team. From what I remember, I think the original only really came to Linux to get into a Humble Indie Bundle. This looks like a game I would buy, however as a Windows only one, the only way I'd ever buy this is on GOG and on a discount. If at least they could manifest an interest in supporting Proton / Proton requirements. I'd be more confident in supporting them. Online games are a risky thing. I had a blast with this one, was really surprised at how smoothly it went. However, I agree that I am a bit afraid they might add some anti-cheat and ruin compatibility with Proton. Risk of Rain, huh? I'm from Vancouver; that title sounds way too much like real life. I have been keeping my eye on this game, looks fun, but whats the end goal for this game?. For me it seems fun for like up to 10-15 hours to just go and kill everything with friends, loot and gear up, but what is the progression there? Will the upgrades reset after you die and you start all over again? Is there some background story you can discover during gameplay? I never played the first one as i dont like pixel stuff usually. Normally, I only buy games that have Linux support (even if some end up running better under Proton) but since I got this as a gift, I'm really glad it runs well with Steam Play. I get 80-150 fps depending on how many enemies and particles are on the screen. I just wish it had more content. If you mastered the original, this one is a lot easier. Im hope to make a native linux version would be very great !